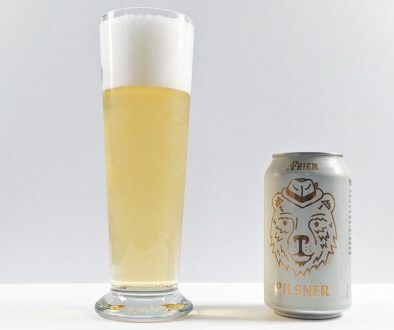 Product description: Fruity scents of melon and pineapple, and the juicy essence of strawberry and gooseberry make pFriem Extra Pale Ale taste great, but it’s the big hoppy aroma and full flavor that makes it ‘Extra.’ Malts: Rahr Alix Pale, Simpsons Cara Malt, Simpsons Crystal Dark. Hops: Citra, Mosaic, Equinox, Chinook. 45 IBUs, 6.5% ABV. Like I’ve stated in past pFriem reviews, these bottle labels are simply regal looking. Easily, this is the best design language I’ve seen in a long time. For Fall 2018, pFriem has introduced three new beers: Extra Pale Ale, Dank IPA, and Export Lager. Each one is superb, though the Extra Pale Ale stood out to me as the most outstanding. 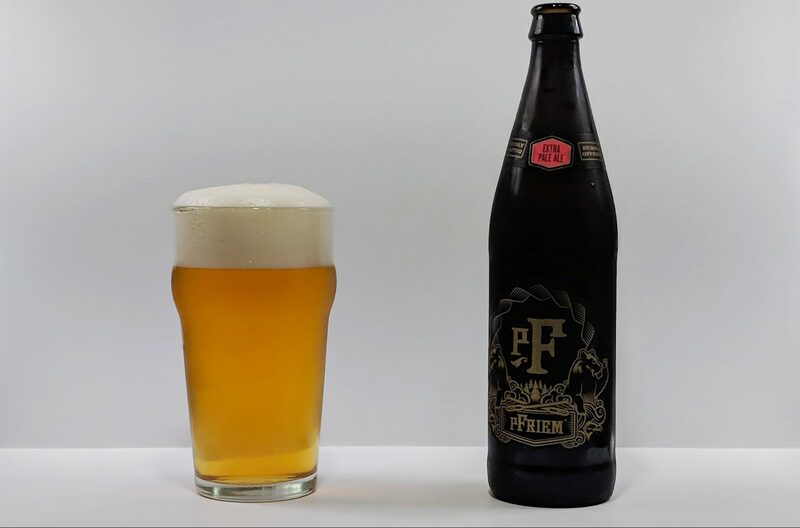 From a 500mL bottle packaged on 9/20/18, pFriem’s Extra Pale Ale is crystal clear golden in color with ridiculous, cream-colored foam that rises up out of the glass almost an inch without spilling over. It looks perfect. The aroma is beautiful and complex with birthday cake, vanilla frosting, white grape, yellow apple, and pear. Flavors focus on pound cake, sourdough bread, white sugar, and bright fruits like yellow apple, starfruit, and Bosc pear. The mouthfeel is where this one shines. It’s incredibly rich – about as dense as a pale ale can be. Thick pound cake dominates with substantial residual sugar with sweetness at a 7 out of 10. Bitterness is nicely subdued at a 5/10. The mouthfeel is ultra-silky, coating, and smooth as hell. There’s a long finish with building sourdough and fruit juice-like acidity. 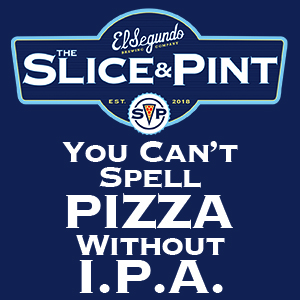 This is on the sweeter side, but with that, you get exceptional balance and mouthfeel, which allows you to really enjoy the beer instead of bracing for sharp bitterness like so many hoppy beers out there. At 6.5% ABV, my mind wants to put this beer squarely in the IPA category as it is on a world-class level even in this congested segment. I understand that pFriem sees this as a strong APA, a substyle I never quite understood, but when you compare this side by side with their new Dank IPA, the latter is darker in color and a bit rougher to drink. 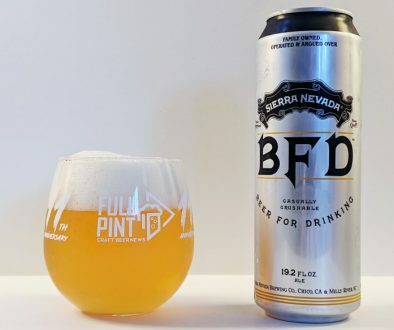 The Extra Pale Ale actually matches up better in flavor profile with what has become the template for excellent clear, modern IPA from breweries like Sierra Nevada, Modern Times, Beachwood, Pizza Port, El Segundo, et al. For those that have fallen in love with West Coast style Citra and/or Mosaic clear IPAs, pFriem’s Extra Pale Ale is right in there with the best of the best. 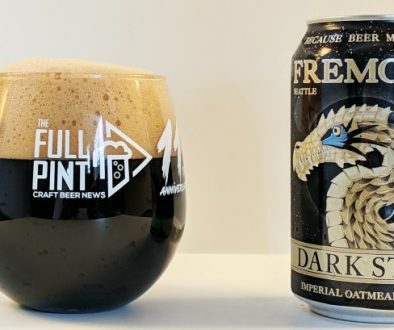 Even for the perfectionists over at pFriem, this one is exceptional – a masterpiece in my opinion and one of the best new beers I’ve tried this year.